From the poles to the tropics, from desert to swamp, from mountain peaks to ocean depths – life on Earth has spread into every niche, and even into the most extreme environments on our planet. Habitats can change into extreme places during different seasons – to the advantage of some, and the demise of others. Animals have developed remarkable strategies to thrive even in the harshest conditions. This spectacular three-part series presents extreme habitats all around the globe. Meet the resident species that are pushed to the limits to survive. We’ll follow their lives and see their fascinating solutions. Because in the end, it all comes down to evolution’s hard truth: adapt or die. In the Amazon forest, the largest rainforest on Earth, animals must deal with high rainfall and periodic flooding. They have to find clever ways to survive. The sloth spends most of its time hanging upside down in trees, eating leaves. To overcome constantly water-laden fur, the sloth’s fur grows in the opposite direction to other mammals. This enables it to shed rainwater quickly. And when permanent rain fills the rivers, these slow-moving mammals have to swim from tree to tree to find food. When ponds in Sri Lanka dry out at the height of summer they expose the last remaining fish to hungry crocodiles and storks. But when the banquet is over, predators must find food elsewhere ­– a dangerous undertaking because all around the land is drying up under the scorching sun. At the same time, the elephants of Sri Lanka are on the move. They need to find water – and quickly. In the desert of Namibia, rivers are mostly desiccated beds of sand. But sand grouse, oryx and giraffes find the last remaining pools of water. Drought can also be live-giving: along the sand banks of the fast evaporating Amur River, terns build their nests. Here, their offspring are safe from predators such as foxes or boars; but ironically, not from their own kind. Orang-utans forage early in the day inside the rainforests of Sumatra – before the heat becomes unbearable. When the sun reaches its zenith all activity stops and the primates retreat to their shady nests below the canopy to wait out the heat. While orang-utans avoid the midday sun others are drawn to heat; some animals seek the hottest places on Earth – volcanoes. Each morning, volcano birds gather at the foot of Tavurvur volcano to excavate the hot ash – each one will lay a single egg. No need to sit on those eggs – the volcano’s warmth will do the job for them! Winter in northern Yukon Territory – a frozen white landscape stretches into the distance. But high up on the Arctic Circle, one unique river still flows – because it’s fed by an underground spring. Chum salmon exploit this anomaly. They travel thousands of kilometres to spawn here – later than anywhere else. And grizzlies exploit the spawning salmon. They brave temperatures 20 degrees below – to gorge themselves on fresh fish and fatten up for the long, cold, northern winter. The highest and the lowest places of our planet also offer niches where life thrives. High up in the Alps, animals have developed particular strategies to survive. Short, hot summers follow long, hard winters – seasonal extremes that test the endurance of Alpine inhabitants. In spring, newborn chamois must learn quickly to manoeuvre the steep stony cliffs and slopes. Winter stays for eight month in these altitudes. Deep snow, harsh storms and minimal food test the chamois’ survival. But they are alpine specialists – masters of the mountain. For them there is only one major threat – the avalanche. This overwhelming force of nature will take the life of every animal in its path – and in turn provide food for hungry ravens and golden eagles. Sri Lanka’s cloud forests are home to an army of specialists. At 1,500 metres above sea level the forests are high enough to bring winter frosts. Here the bear monkey has grown long fur to cope with the cold. 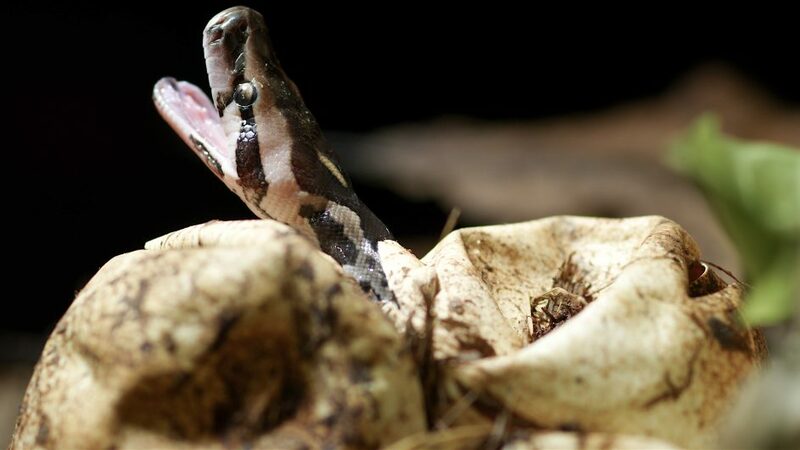 In this highest of tree top gardens the monkeys never want for food – or shelter – because on the forest floor a deadly hunter lurks: the rock python. While life in higher altitudes often is accompanied by coldness and a lack of oxygen, animals and plants that prefer the sweet life at sea level must face other challenges. Pacific salmon have been coming to the west coast of Canada for around six million years. Every summer, hundreds of millions journey from deep in the Pacific Ocean to inland rivers. Here they will spawn at the very spot where they hatched! It’s an exhausting journey upward through treacherous rapids, cascades and rivers where hungry hunters watch and wait – like the voracious black bear. On the island of Palau, another perilous journey begins. At Jellyfish Lake huge shoals of golden jellyfish make their daily trip upwards from the lake’s toxic abyss to the sun-drenched surface water. The jellyfish can survive these extremes because of a symbiotic relationship with tiny algae that can turn sunlight into sugar; but the algae cannot reach the sunlight without the jellies. So the jellies bring them the rich nutrients they need. In return, the algae’s sugar feeds the jellies. When the balance is right, both jellyfish and algae benefit. But there’s a risk – there’s no oxygen in the depths of Jellyfish Lake – if the jellies remain too long, they will suffocate! In every extreme environment on Earth life is challenging, yet wildlife has evolved ingenious ways to survive and even thrive. ‘Life at the Limits’ is a celebration of nature’s ingenuity, against the odds.